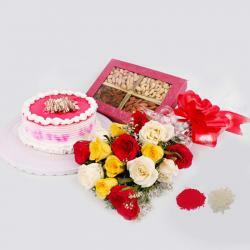 Product Consists : Bouquet of 10 Mix Flowers, 500 Gms Kaju Katli Box and 500 Gms Dry Fruits Box along with Free Roli Chawal. 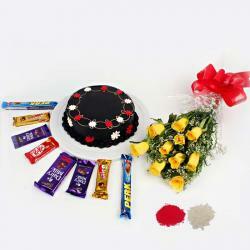 Combo are trending as excellent gifting option for every occasion. On this Bhaidooj gift your dearest bro a unique gift of tasty sweets, dry fruit. 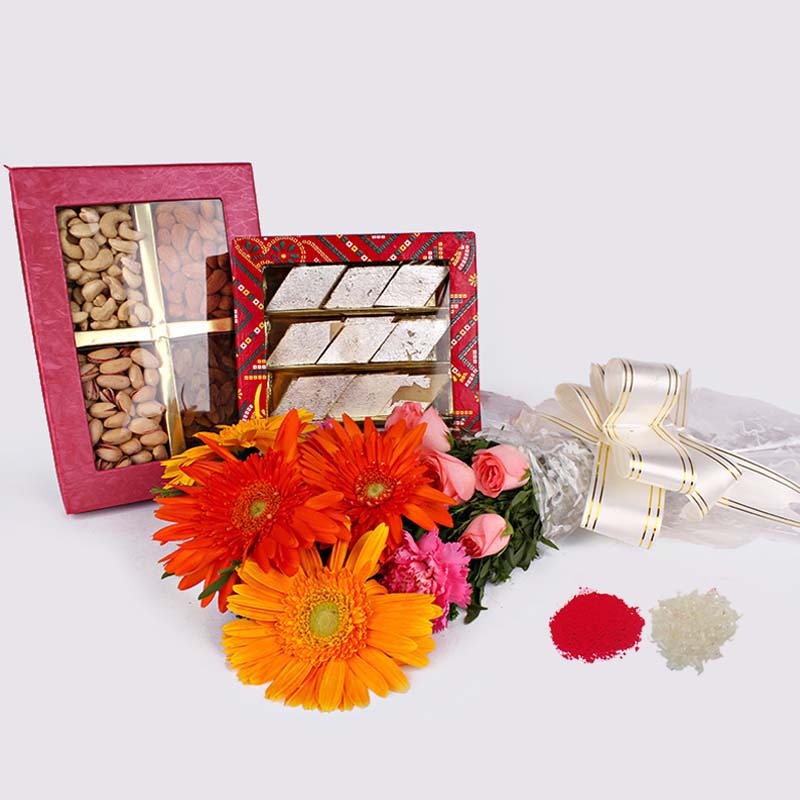 This is a classy combo with roli chawal of high quality for auspiciousness and a combo of Bouquet like mix Gerberas and Roses with some sweets like Kaju Kalti and Dry fruits like Cashew, Almond in a Box. 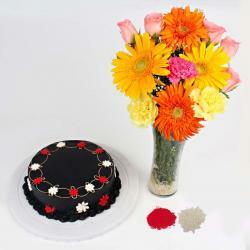 It is perfect even for sugar conscious people as it is made majorly from A1 quality. This marvellous hamper is perfect to grace your brother with health, wealth and prosperity and treat his taste buds with amazing combo. 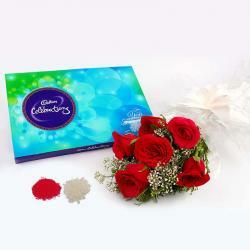 Product Consists : BBouquet of 10 Mix Flowers, 500 Gms Kaju Katli Box and 500 Gms Dry Fruits Box along with Free Roli Chawal.